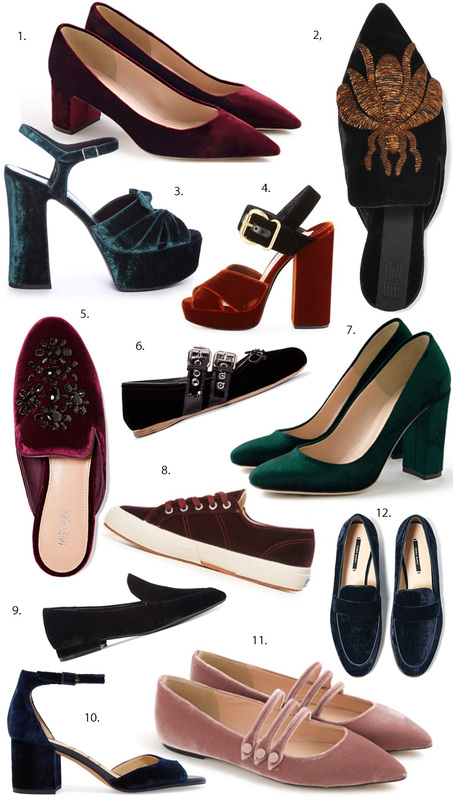 The amount of velvet footwear for sale is staggering. This is a guide to some of the best ones out there. First off, classic styles don’t date. I’ve had my blue velvet cowboy boots for about four or five years and love them as much as the first day they delivered. 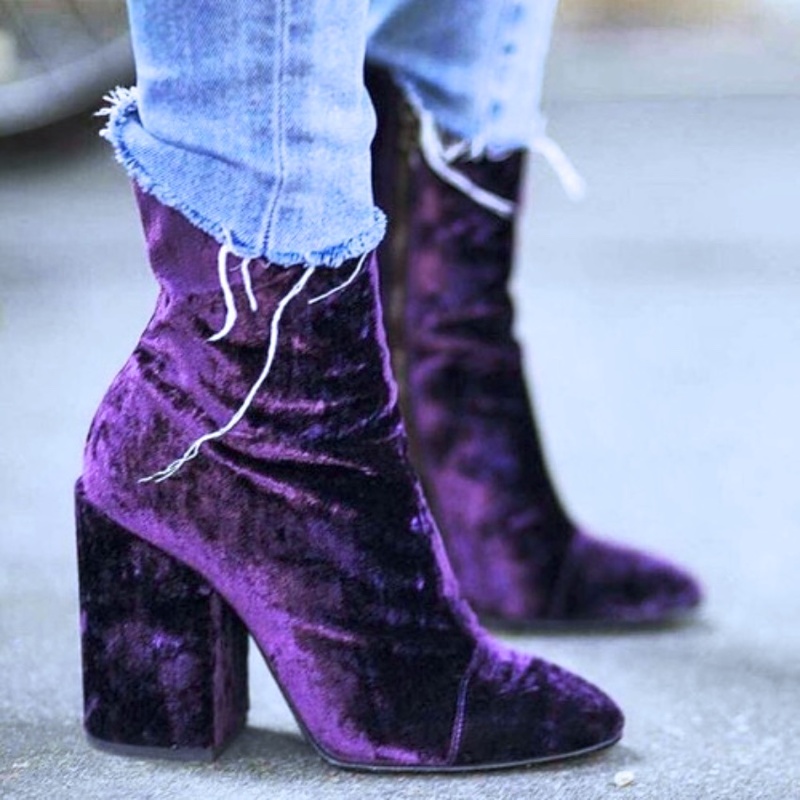 My friend bought the above Dries Van Noten velvet boots which have almost sold out worldwide, but once scored I reckon they will last for years and justify the spend. The below silver grey pair (insert scream face emoji) are from a curation based Instagram account. 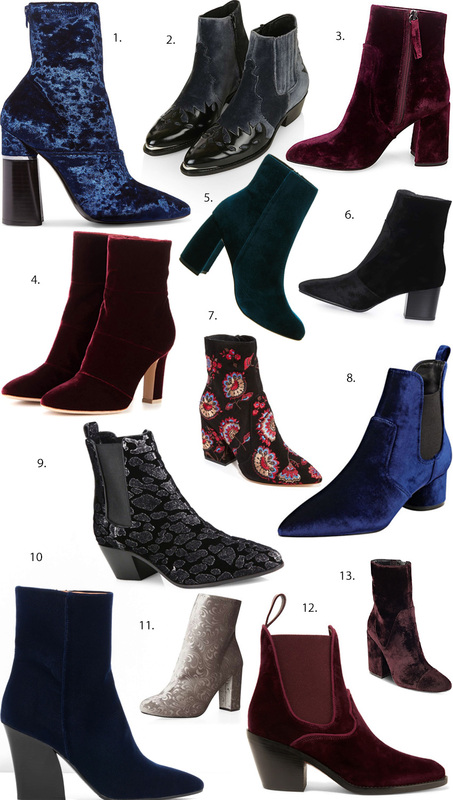 After staring at them for longer than I care to admit, I identified them as the Public Desire Elva boots (pre filtering). They are affordable enough to try so let me know if you try them. Plus this Dorothy Perkins pair are a similar vibe to wear with cropped denim and skirts. 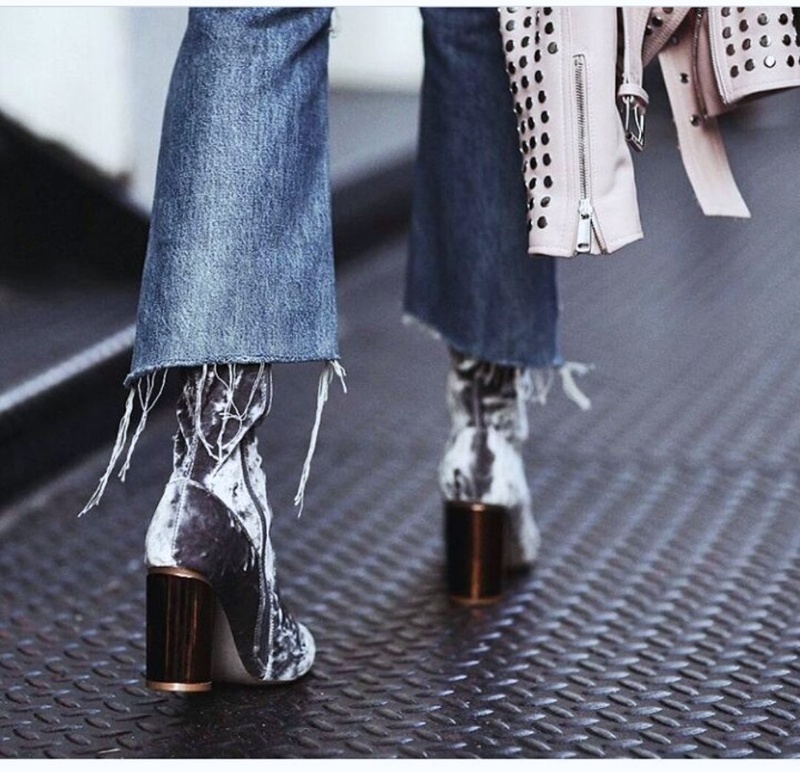 Silver grey boots from above street style photo are HERE.